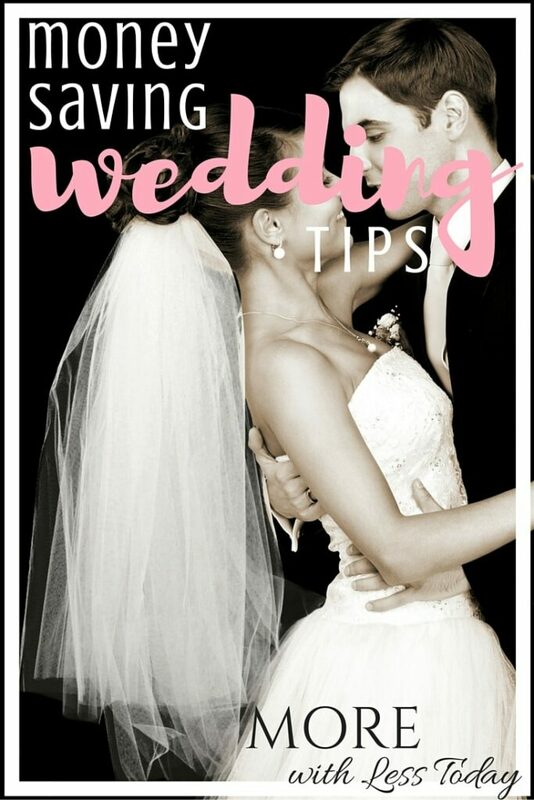 When both of my children got married last year, I needed all the money-saving wedding tips I can find. Did you know the average cost of a wedding is now over $30,000? Ouch! I spoke with my friend Raquel, a savvy blogger who publishes Organized Island. Her daughter was recently married and she shared several of her money-saving wedding tips with me. Consider having the wedding on a day other than Saturday. Most venues are considerably cheaper on Friday or Sunday. A Friday evening wedding can be just as spectacular as a Saturday evening wedding. Look for wedding dresses at sample sales and non-bridal stores. You may still have to pay for alterations, but you will save a lot on the initial cost of the dress. Check out decor items at your local dollar store. They have a wedding section with lots of great packaged decor items for just a dollar each. Establish a budget and make a pact to stick to it. Rank your priorities and talk about what can be compromised, down-sized or skipped. Consider using a wedding planner or coordinator who is comfortable with your budget. Not only can they take care of many of the details so you can enjoy your special day, they can often make suggestions about vendors and ways to cut costs. In addition to holding your wedding on a day other than Saturday, look to the off-season. A wedding in the fall, winter or spring can be just as lovely as a summer wedding and you can expect to save about 15% during the off-season. Book your venue first, before you send out your “save the date” announcements. Popular wedding venues can book up a year or more in advance. You don’t want to “save the date” and then pay top dollar to secure a venue out of desperation. Ask friends and family for recommendations and enlist their talents if they offer. Do you know someone who can make table decorations, print your invitations, or do hair or makeup? Whittle down that attendance list. The fewer people you have, the less you have to pay per person at the reception. Decide if you are going to allow children and guests for single attendees. Also, keep the headcount down for the number of attendants in your bridal party. Consider only serving beer and wine and perhaps a signature cocktail at the reception. Having an open bar can really make the cost soar. As you can see, it’s all about paring down without sacrificing the overall feel. Do you really need the extra super fancy table setting or the gilt-encrusted whatever? Probably not. If you follow these money-saving wedding tips, you can have a wedding that is both beautiful and affordable. 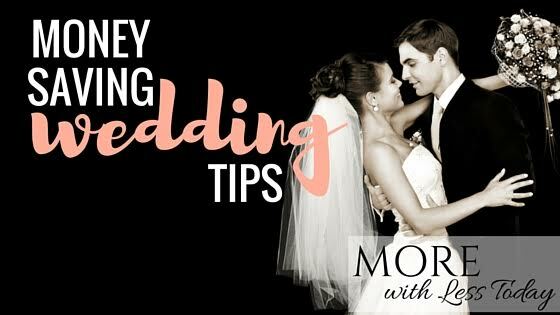 My post was featured on the Valpak blog here: 10 Ways to Save Money from the Mother of the Bride. If you have already planned a wedding, how did you save money? Do you have some things you would do differently to cut costs?